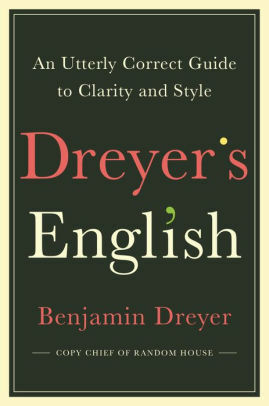 On January 31st, Peter will be at the Barnes & Noble on East 86th and Lexington Ave speaking with Benjamin Dreyer for the launch of Dreyer's new book on writing, "Dreyer's English: An Utterly Correct Guide to Clarity and Style". This free event begins at 7pm. For more information visit the Barnes & Noble event page here. 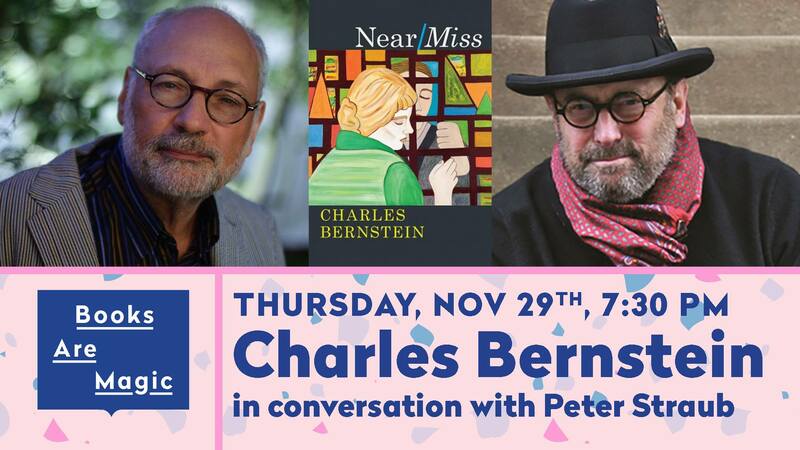 Peter in conversation with Charles Bernstein about Charles’ latest book “Near/Miss” at Books are Magic. Peter was in conversation with Charles Bernstein at Books are Magic back in November. During their talk they discussed Charles' new book of poetry "Near/Miss" and much much more. If you didn't catch them in person, you can listen to a recording of it here. 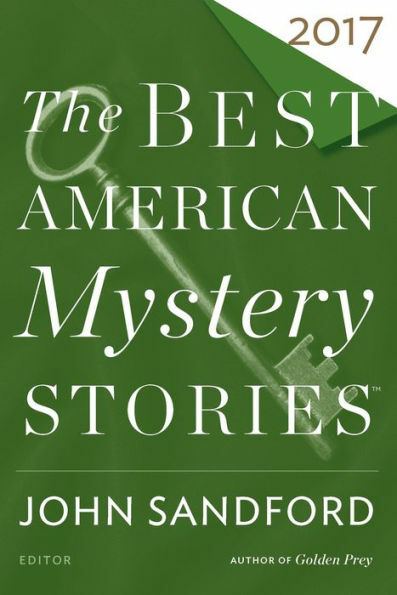 Editor John Sandford featured Straub's work; The Process is a Process All Its Own in this collection honoring the best mystery stories of the year. The Borderlands Press Bootcamp is designed for aspiring authors to receive critique and guidance on their current projects, and work in a collaborative motivating environment. Peter Straub will be attending this writer's workshop as a mentor and special guest at the Towson University Marriott Conference Hotel from January 26-28th, 2018. Peter Straub will join Joyce Carol Oates (The Doll Master and Other Tales of Terror) and Marjorie Liu (Monstress Volume 1: Awakening) to discuss their latest books. The panel will be held at the Brooklyn Historical Society Library at 4:00 pm on Sunday, September 18th. The talk will include a short Q&A. 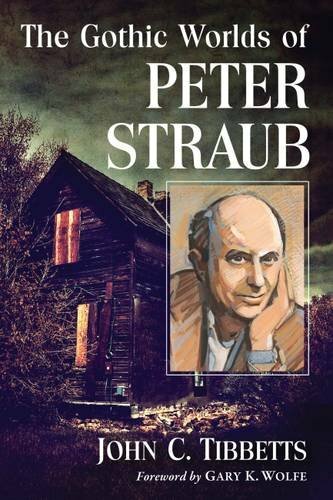 "THE GOTHIC WORLDS OF PETER STRAUB presents the first serious study linking Peter Straub to the evolving contexts of the Gothic Tale, including the fairy-tale tradition of the Brothers Grimm, the ghostly shivers of Nathaniel Hawthorne and Henry James, the Weird monstrosities of H.P. Lovecraft, to today’s postmodernist trends in transgressive body horror." SF Chronicle reviews 'Interior Darkness'! Peter Straub's 'Interior Darkness' launch will take place at the Brooklyn Public Library on February 16th from 7:30 to 9 pm at the Central Library Dweck center. Come join us! On April 30th Peter will be in San Francisco to celebrate the opening of an exhibition created in collaboration with artist, Anthony Discenza. The exhibit is part of The Contemporary Jewish Museum's series, In That Case: Havruta in Contemporary Art and will be on view from April 30th - July 14th. Peter will give a reading at The International Conference on the Fantastic in the Arts, held this year in Orlando from March 18th - 22nd. Peter's work will also be discussed in a talk given by Bernadette Bosky at the conference. Reading at KGB Bar along with Bradford Marrow and Samuel R. Delany on February 12th, 2015. Peter to do reading and be on panel at World Fantasy Convention this November. This November 6th-9th, Peter will be on a panel and giving a reading at the 2014 World Fantasy Convention, held this year in Washington D.C.
Seafront Productions in the LA Daily News! L.A.'s Seafront Productions created by son's mission to take father's novels to the big screen. “The Collected Stories of Freddie Prothero” to be published in the forthcoming Conjunctions 62. Interview with Bradford Morrow published on Open Road Media.